Surely you’ve heard of different luxury brands of men’s watches, but how much do you really know about them? Here is some historical information about the most popular brands. Undoubtedly, this is one of the most well-known brands of all watches. Being founded in 1908 by German perfectionist Hans Wilsdorf, it was originally called Wilsdorf and Davis. Hans worked hard to improve the standards, and he achieved it. It has a consistency in its design over the years, and this is a somewhat of a trademark of a Rolex. Though only 650,000 watches are produced a year, it maintains its high standards. Rolex produced the first waterproof watch, the first watch to display time automatically, and the first watch that displayed two different time zones, among other achievements. This company prides itself in quality and reliability with each watch having to go through 600 hours of quality control and then through testing and observation for 15 days to one month. Due to this, only 30,000 watches are produced every year. 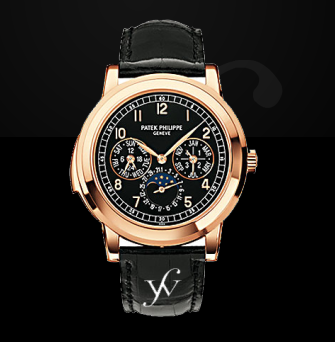 Perhaps among one of the greatest accomplishments, Patek Philipe produced the first ever wrist watch in 1868. The company also created the first watch with a perpetual calendar in 1925. Jules Audemars and Edward-August Piguet were looking for jobs in the local watch-making industry when they met. Hence, Audemars and Piguet’s start in 1875, and registered trademark in 1889. They were successful from the very beginning and today they are one of the oldest manufactures that are still owned by the founding families. Among their firsts is the first high-end sports watch in steel, and the first wrist watch with tourbillion and mechanical winding. This company hails from the Swiss Jura Mountains, starting in 1833. They have been consistent among the world’s leading manufacturers of timepieces. In 1847, they invented the first crown winding system. The world’s thinnest pocket watch movement was made by them in 1903. In 1953, they invented the world’s first automatic alarm wristwatch. This company was established also in the Swiss Jura Mountains, in 1884. In 1892, they relocated to La Chaux-de-fonds, which is the heart of Swiss watch-making. In 1915 Gaston Breitling created the first wristwatch chronograph, the first independent chronograph push piece in 1932. The year of 1936 was when they became the first official supplier to the Royal Air Force. This is the oldest watch manufacture, dating back to 1755. In 1770 they produced their first complication watches. They have strived throughout the years, never letting up on their high standards of quality. They have played an important role in offering innovation and technology to the industry. Knowing more about your favorite brand of watch can help you to appreciate it more. You can purchase a watch from any of these brands or many others at Finest Watches.